I am sure quite a few of us have heard the story about the Army Colonel who sent a message from the front line saying ‘send reinforcements, we’re going to advance’ and by the time it got back to the Generals they heard it as ‘send three and fourpence, we’re going to a dance’! I would like to have known what happened next. It is easy enough to misunderstand to miscommunicate even on dry land, so is it any wonder that our buddies answer our intricate hand signals underwater with a shrug of their shoulders and carry on swimming. 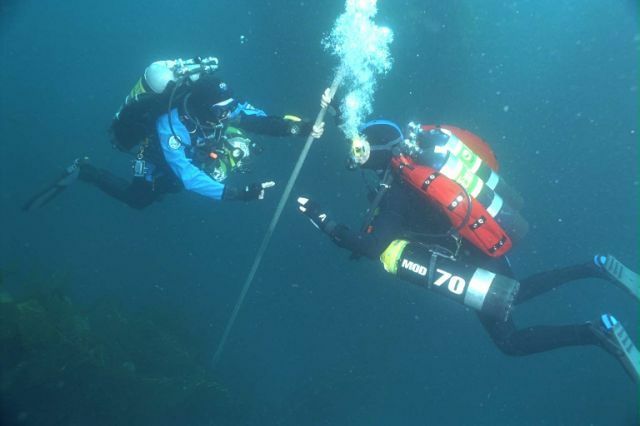 Tech Diving imposes more demands on us as a dive team and so the need for clear communications is even more important. So how do we get the message across? 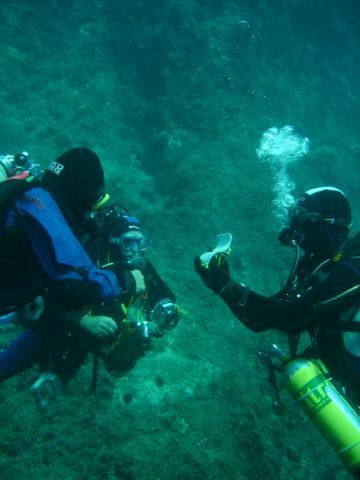 How many ways can we actually communicate whilst we are underwater? The most common form of course are hand signals. We can also use light signals from our torches (the main form of communicating whilst cave diving, for example), written communication with a slate or underwater notebook, touch contact, rope signals (for example, when performing a tethered ice dive) and even the luxury of normal speech (well, nearly normal!) for those lucky enough to be diving on a rebreather. As it is most common, let us look at hand signals. 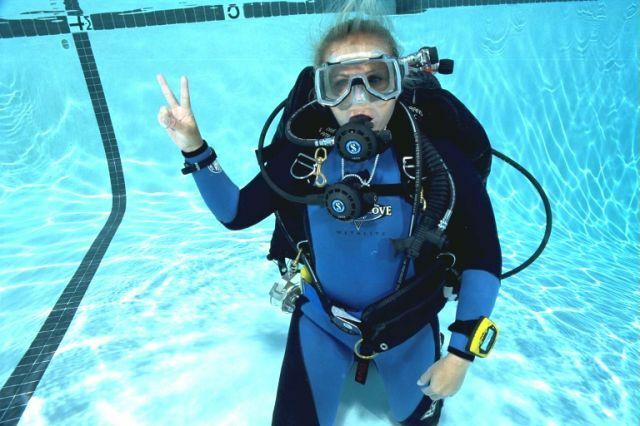 Whatever signals you use it is important that they can be understood and are accepted hand signals that are taught throughout most of the diving community. That way you won’t be frustrated when your own hand signal inventions are not fully grasped by your dive guide on some island paradise. A good source of internationally recognised hand signals is the NACD Hand Signals for SCUBA Diving. You’ll find the hand signals you leant from your PADI Instructor are going to be in there too. Having got into the (good) habit of using internationally recognised signals, how to you get your buddy to see them. With black gloves and a black suit your signals will not even be seen if you hold your hand up in front of your body. Try to hold the hand showing the signal away from you, so that signal is silhouetted against the water. If necessary illuminate your signalling hand with your light. That way your buddy will see it quite clearly. Another good practice is to agree that your buddy will answer your signal back with the same signal. This is an easy way for your buddy to show that he/she has fully understood the message you are trying to get across. By using clear, recognised hand signals in a precise way you will find that you and your buddy will be able to communicate effectively underwater. 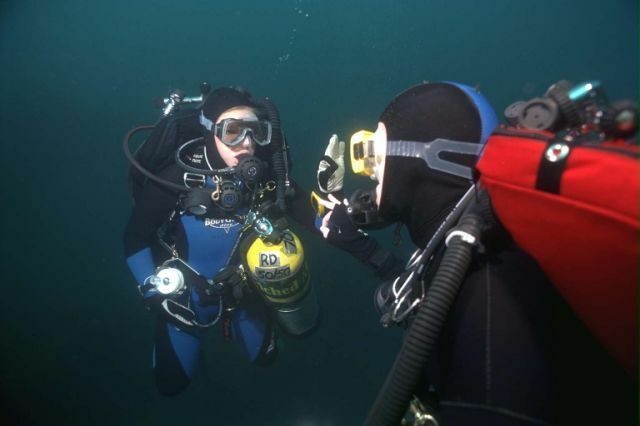 On deeper dives this clear communication can add to your safety and make the whole process a little less time consuming…you won’t have to figure out just who is going to the dance. Previous PostPrevious Northern Europe – Wreck Divers Paradise.